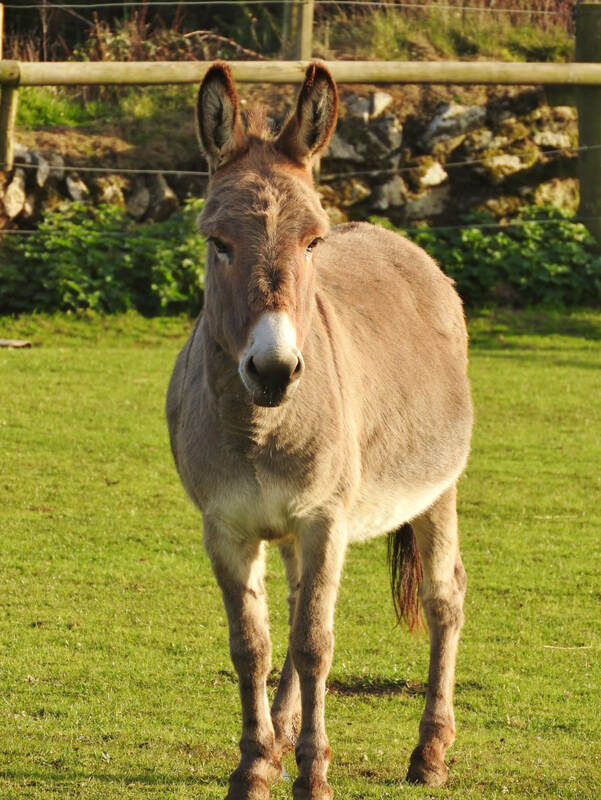 Mary was a solitary donkey of around seven years old, when she found herself at the market after being drifted off the New Forest. She arrived at our sanctuary in May 2018 very frightened and traumatised, with a hole in her ear where an ear tag had been removed... We don't know much about her past, but it has sadly made her very wary and defensive. After spending time in quarantine, she was introduced to one of our smaller donkey herds. As of yet, she has not bonded with anyone, but this may take some considerable time after her ordeal. We will never know if she was separated from her bonded soul-mate or even a foal; such is the callousness of the meat markets. We feel sure that, given a little time, Mary will settle, learn to trust again and find a special new friend to take her under their wing.